RESERVED FOR TDP - Please do not buy if you are not the buyer of this arrangement. 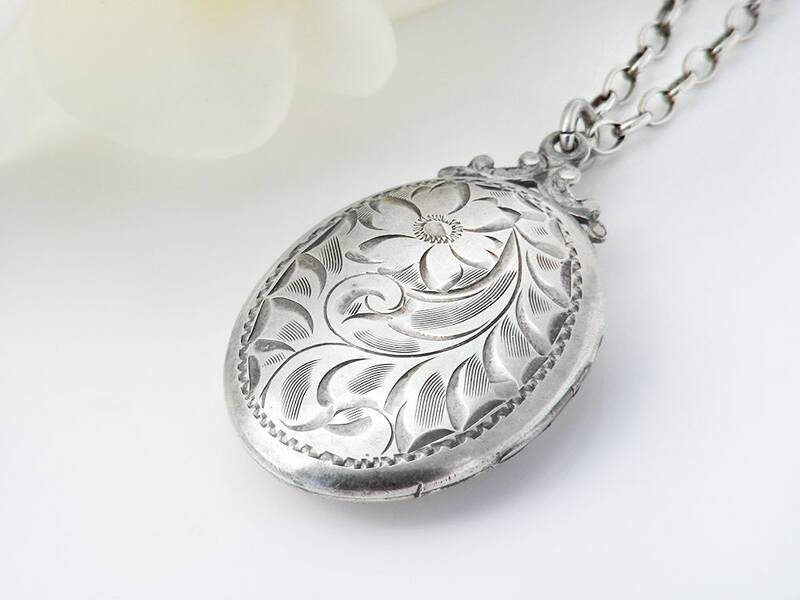 An elegant and feminine piece, this classic vintage 1950s sterling silver locket has damask style engraving to the front with a Forget-Me-Not Flower to the upper edge and a decorative bail. 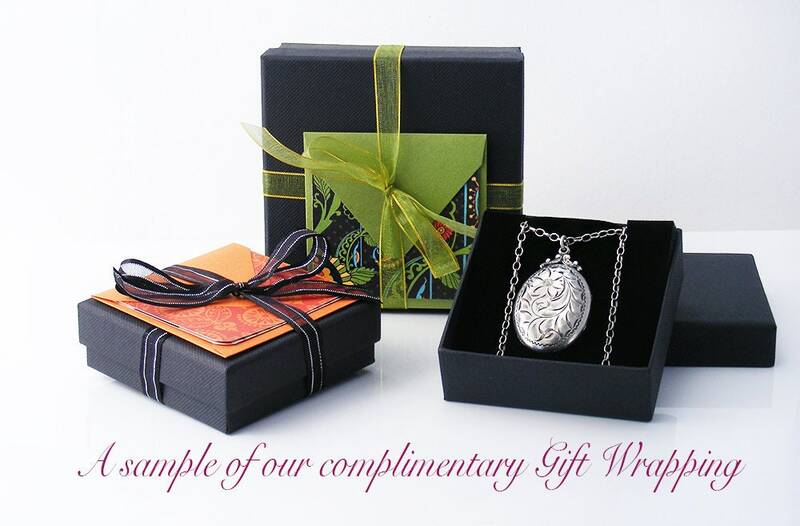 Victorian in style, the locket is a generous size. Sterling silver, the reverse side is smooth and marked STERLING with the letter B - this is a Burkhardt locket designed for Birks of Canada. 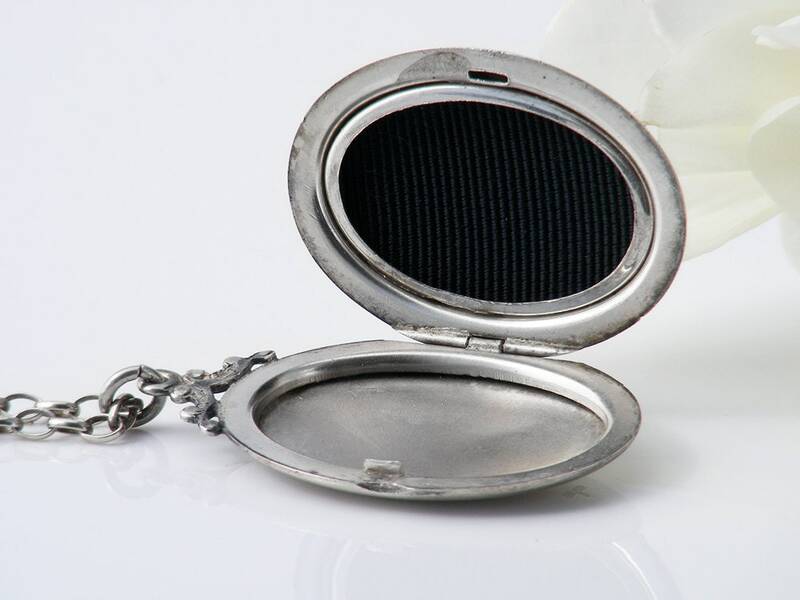 The locket has a single photo rim on the inside and with black fabric lining and hinges on the left in the Victorian fashion. A larger sized locket, 1.1 x 1.5 inches (27 x 38mm) with the header and bail adding another 8mm to the drop from the chain. 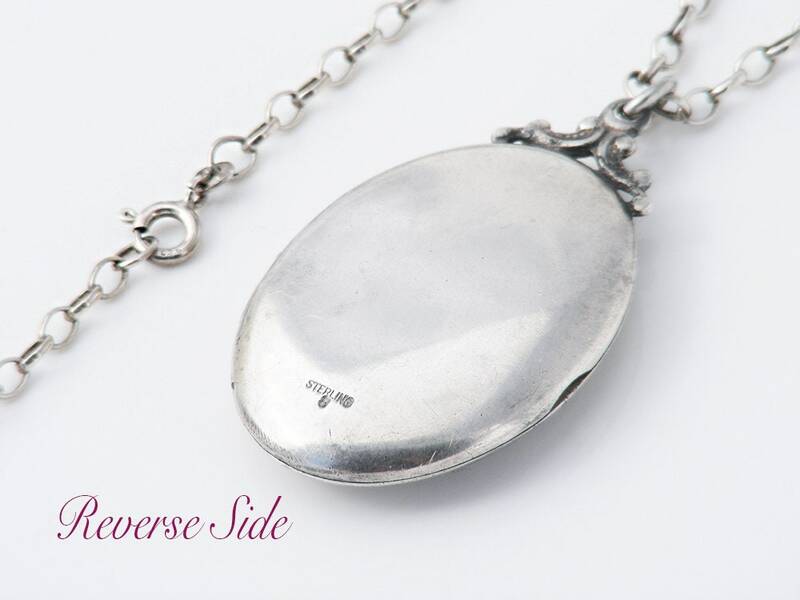 The locket gently round out to approximately 7mm in thickness. 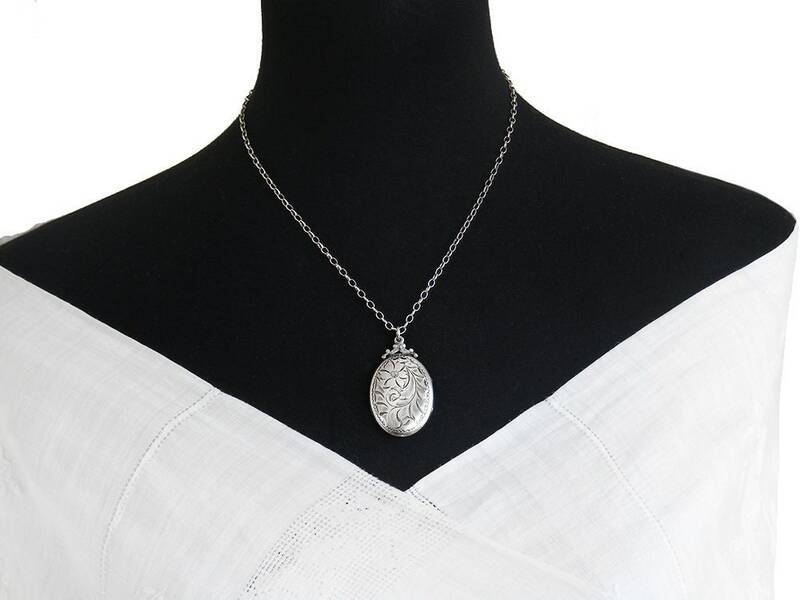 The locket has a beautiful vintage chain (as found with the locket) just over 18 inches or 46cm long and stamped for 925 sterling on the clasp. Locket and chain are shown on a life size torso in image #2. Condition: Good with one proviso - there is a very small cut to the bottom edge of the locket as seen in image #4. This is barely noticeable, price has been adjusted accordingly. Mild surface wear to the back, smooth and lovely to handle, no dents or dings. The locket closes well and the hinge is strong and working as it should. 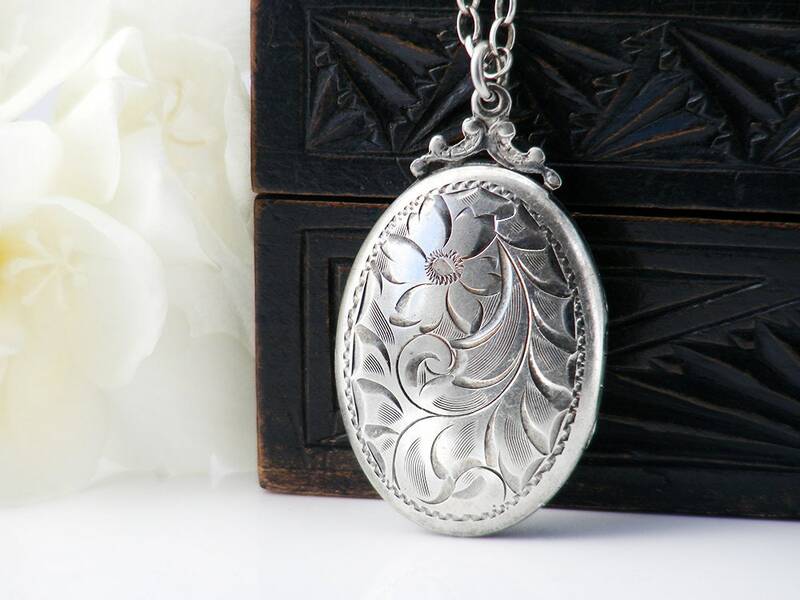 A classic Victorian Revival locket with a popular traditional design, well made and sturdy.